Jordan Brand bringing the heat in the final weeks of 2018. The Holiday season is officially upon us and, as is tradition, sneaker brands across the board are filling up the shelves with some of the most anticipated drops of the year. Among them all, Nike and Jordan Brand are coming on strong as we head into 2019. In addition to bringing back several iconic sneakers, some of which haven't release in nearly two decades, the Jumpman will also introduce a number of all-new styles as well. Not to mention, Nike will be releasing their entire 2018 Doernbecher Freestyle Sneaker Collection, which you can check out here. The exhausting list of December sneaker releases gets underway at 10am ET today, December 1. Scroll down to check out 10 of the most popular kicks slated to arrive in the final month of 2018. 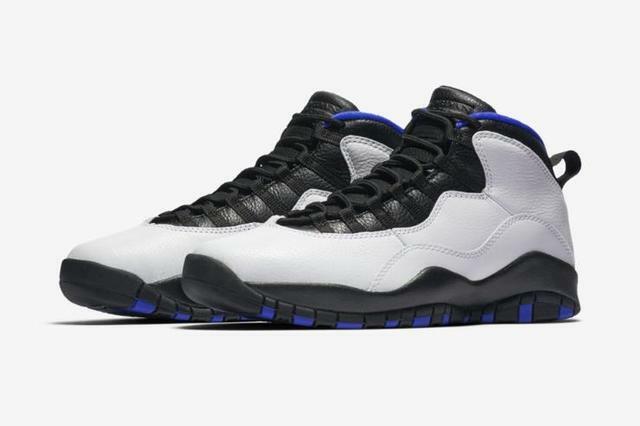 Jordan Brand is bringing back the "Orlando" Air Jordan 10 on Saturday, December 1 for the first time since the sneaker released as part of the Air Jordan 10 "City Series" way back in 1995. The original "City Series" released while Michael Jordan was away from the game, which is when Jordan Brand selected a handful of NBA stars to debut the special edition 10s on the court. This included Orlando Magic swingman Nick Anderson, who introduced the white 10s with black and blue detailing. 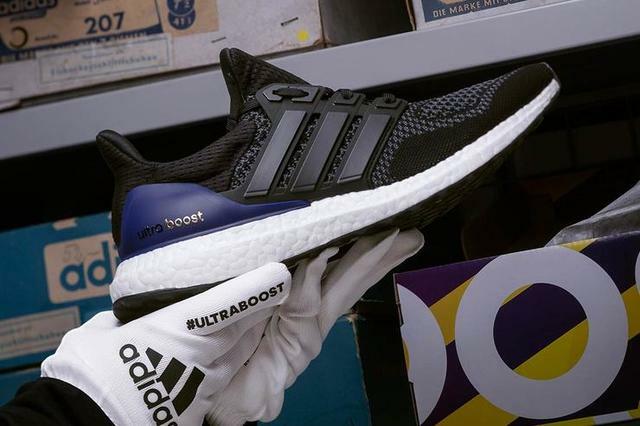 The Adidas Ultra Boost, one of the brand's most popular silhouettes, will return in OG form on December 1, just three years after the beloved sneaker made its debut. There are a number of colorways in the works but the OG black/purple might be the most anticipated of all. The original Adidas UltraBoost 1.0 features a two-toned black primeknit upper accompanied by a purple heel cap, as well as the unique knit pattern that was seen on all of the Ultra Boost 1.0s. As is customary, the Boost cushioning sits beneath it all in white along with the black Continental Rubber outsole. The OG UltraBoosts, retailing for $180, will be available via Adidas.com starting at 10am ET. Following in the footsteps of the Playstation Nike PG2 comes an all-new Playstation x Nike PG 2.5, featuring a predominately grey upper inspired by the iconic game console. 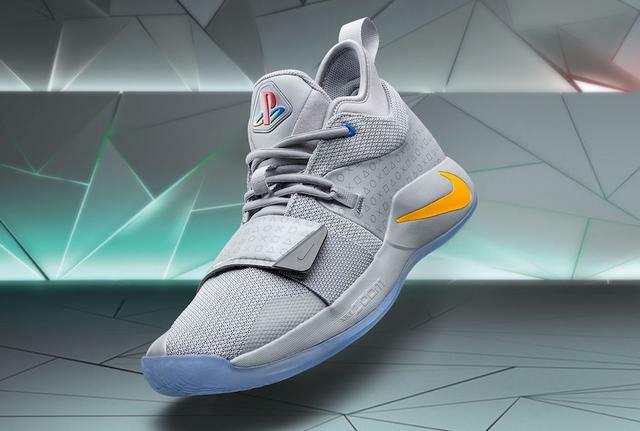 The kicks are covered in tonal PS-inspired accents about the heel and forefoot strap, and include PS & PG logos on the tongue and insoles, as well as "Paul George" spelled out on the heels in PS-style font.
.@Yg_Trece and @PlayStation bring back the classic four-color logo and light-up tongue on the latest PG 2.5 x PlayStation. 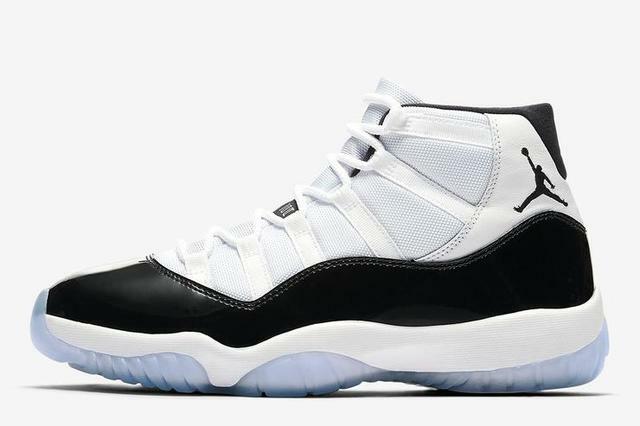 The remastered "Concord" 11s will come with a bulkier "OG" patent leather cut, similar to other recently released 11s like the "Space Jam" and "Midnight Navy" colorways. Additionally, the 2018 Concord 11s are highlighted by a '45' on the heel as opposed to the traditional 23. Not only will the beloved white and black 11s return to retailers on December 8th ($220), but there will be reportedly be roughly 1 million pairs available. And that's just in men's sizes. According to reports, an additional 850,000 pairs will release in GS, PS and TD sizes. The all-time classic sneaker made its debut during the 1995-96 NBA season and has been retrod multiple times since, most recently in 2011. A low top version of the "Concord" Air Jordan 11 also released in 2014. Concepts x Nike SB Dunk Low "Purple Lobster"
Boston-based Concepts has teamed with Nike SB yet again for a new "Purple Lobster" Dunk Low, following in the footsteps of some other highly coveted crustacean-inspired collabs. Concepts and Nike SB first released a red "Lobster" Dunk Low in 2008, followed by a blue rendition and an elusive yellow pair in 2009. Additionally, Boston Celtics All-Star Kyrie Irving has recently teamed with Concepts to have his Nike Kyrie 4 done up in a limited run of "Yellow Lobster" and "Green Lobster" colorways as well. 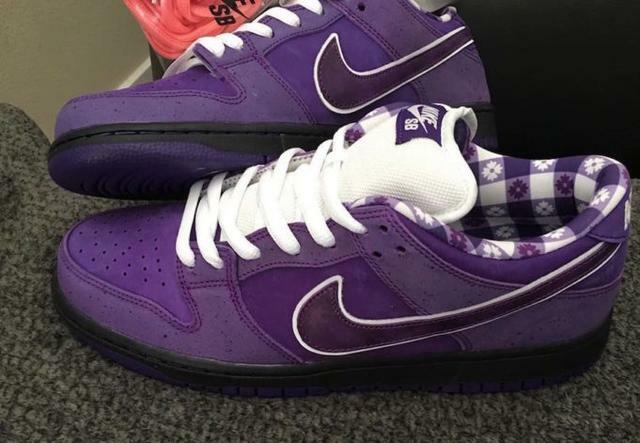 Now, they have announced plans to release the "Purple Lobster" Dunks on December 14. Styled just like its predecessors, the purple SBs feature a checkered inner lining and a rubber band around the toe. Of course, these will be extremely limited. 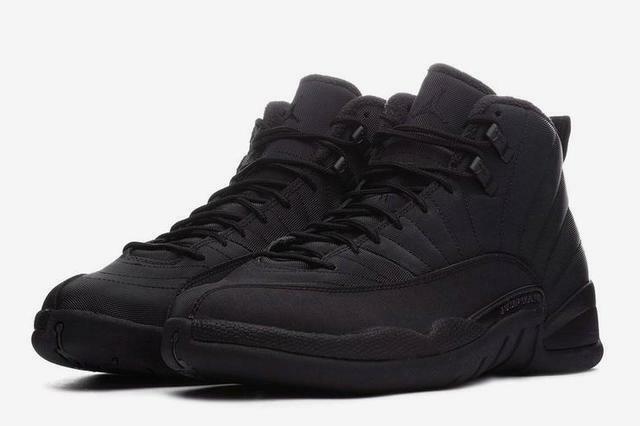 Air Jordan 12 Winterized "Triple Black"
The all-new winter-friendly Air Jordan 12s are built on a durable weather-resistant upper decked out in black from heel to toe, accompanied by a black nubuck mudguard and an ultra soft terry cloth inner lining. The overall construction and all-black color scheme make these kicks a perfect winter option if you're not a fan of rocking clunky boots for the next couple of months. The kicks, available in sizes for the whole family, will initially release overseas on December 1, followed by a U.S. release on December 15. Check out early purchase links below. 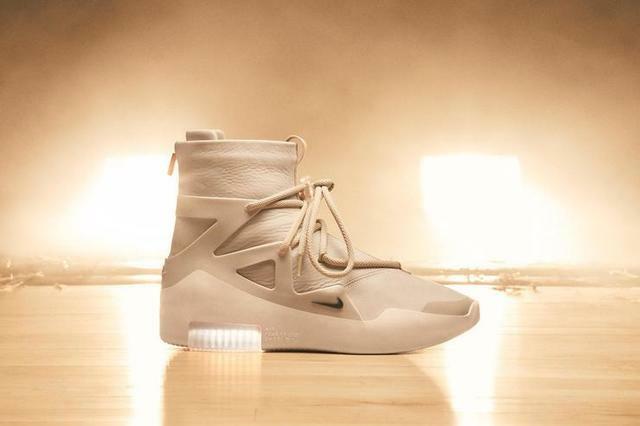 Nike’s first collaborative project with Fear of God founder and creative director, Jerry Lorenzo, is officially set to launch in mid-December and will include the court-ready basketball sneaker that was recently worn by Houston Rockets' forward PJ Tucker. The high-top kicks, dubbed the Nike Air Fear of God 1, are highlighted by a double-height Zoom Air heel unit and a TPU cage that is inspired by the beloved Huarache Light. The Nike Air Fear Of God 1, retailing for $350, will release alongside a collaborative range of apparel on December 15 at NikeLab, SNKRS, FearofGod.com, and select retailers. Swipe for a detailed look at the new @nike Air @fearofgod 1. Coming in an option of either Black or White, each colorway features subtle details of embossed Fear of God lettering on the heel. Expect the Fear of God x Nike collab to release December 15. 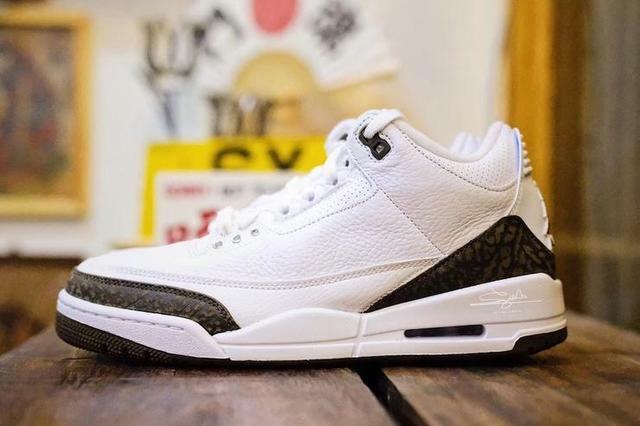 Detailed images of the 2018 version of the "Mocha" Air Jordan 3s recently surfaced and they're looking just as sweet as they did 17 years ago. The kicks, which have not released since 2001, are built on a crisp, white tumbled leather upper accompanied by mocha brown accents on the elephant print, Jumpman branding, upper eyelets and outsole. Slated to drop on December 15, these classics have surprisingly flown under the radar thus far but that'll change once the Air Jordan 11 release is out of the way. 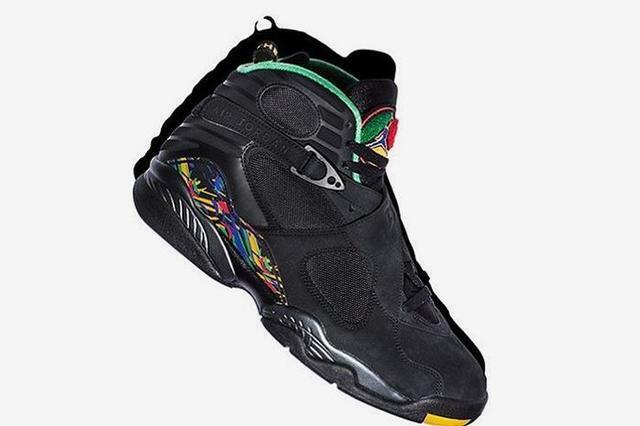 Air Jordan 8 "Air Raid"
Jordan Brand recently introduced a handful of "Tinker" Air Jordans, some of which are inspired by another classic Nike sneaker such as this upcoming "Air Raid" Air Jordan 8. The kicks, inspired by the classic "Urban Jungle" Nike Air Raid, feature a black nubuck upper with Light Concord, Aloe Verde, and University Red accents reminiscent of the Air Raid's vibrant graphics. Additional details include a colorful chenille tongue logo, a green inner lining, a splash of yellow on the outsole and yellow “Live Together” text on the black heel tab. Air Jordan 1 High OG "A Star Is Born"
One of the final Air Jordan releases of the year draws on inspiration from MJ's first Sports Illustrated cover during his rookie year. The 1984 SI cover in question featured an airborne MJ putting up a shot in traffic as he is surrounded by several Bucks players along with the caption, "A Star Is Born." 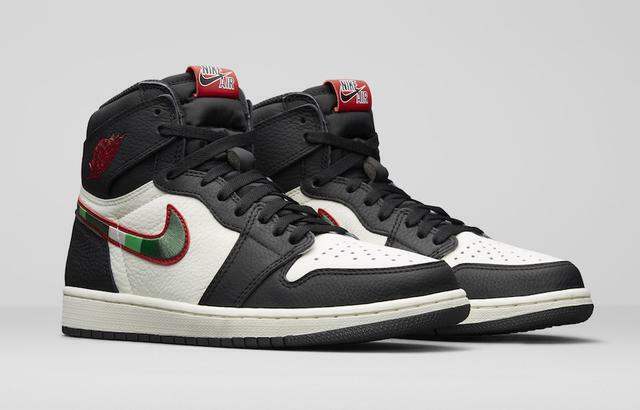 Using that image as inspiration, the upcoming Air Jordan 1 features the familiar white, black and red color scheme as a nod to the Chicago Bulls uniforms, as well as a green-striped Nike Swoosh inspired by the detailing on the Bucks' uniforms. Additionally, the inside of the ankle collar reads, "A Star Is Born."